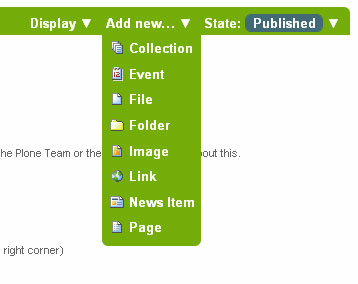 How to add news items in the portal. Plone web sites have a built-in system for publishing news items. 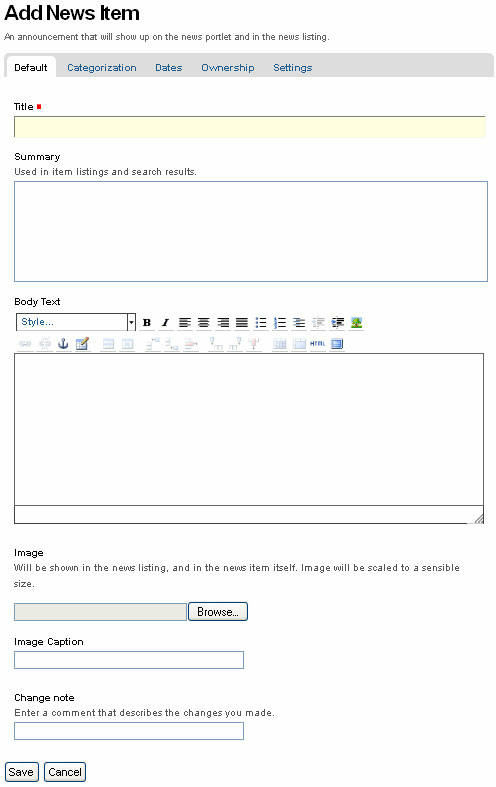 The standard fields for title, description, and change note are in the panel, along with a visual editor area for body text and image and image caption fields. You can be as creative as you want in the body text area, and you can use the insert image (upload image) function to add as much illustration as needed. The images you upload for the news item will be added to the folder in which you are adding the news item. The Image and Image Caption fields are for adding an image to be used as a representative graphic for the news item, for posting in news item listings. The image will be automatically resized and positioned. Use the Body Text to insert an image in the actual body of the News Item. IMPORTANT: News items will not appear in the main web site news listing or news portlet until they are published.